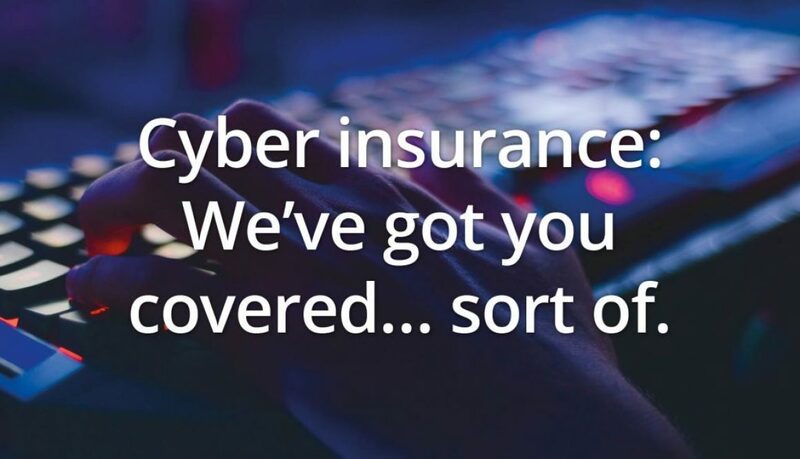 Cyber insurance: We’ve got you covered… sort of. Insurance is a must to mitigate many business risks. Fire, flood, employee liability, and so on. One of the newer risks is cybercrime. Banks and other financial institutions make tempting targets for cybercriminals, who can walk away with millions, unnoticed until it’s too late. Cyber insurance products form a bright spot in an otherwise dull insurance market. Managers are starting to recognise the risks, and take out policies, believing the company to be covered. However, it doesn’t always work the way they expected. As one example, a US bank lost $2.4 million to cybercrime in two incidents (May 2016 and January 2017), and its insurer paid out – but only a mere $50,000. the debit card rider (maximum claim $50k, with excess of $25,000), rather than the cybercrime loss liability of $8 million with a $125,000 excess, since the cybercrime rider specifically excluded any card or ATM related losses. investigations, and the cost of legal claims which may arise as the result of such cyberattacks with a total maximum pay out of $30 million. Such a comprehensive policy should make it easier for the organisation to survive a cyberattack. and promptly with minimum impact. Partnering with specialists such as First Response not only allows you to create your CIRP and to define recovery procedures and set roles and responsibilities, but also to maintain full compliance with GDPR – and in the event that a breach does occur, your personal Incident Response specialist will be available to advise and help, by determining how the breach occurred, what, if any data has been stolen and what needs to be done to repair and prevent any kind of reoccurrence. And who knows, it may even reduce your insurance premiums.